You may have heard that a number of government officials are investigating whether Google has violated state and federal anti-trust laws. The Federal Trade Commission, state attorneys general and a U.S. Senate subcommittee are all trying to determine if Google is competing fairly in the marketplace, or if they have acted in ways that are anti-competitive. Because Google competes against Yelp to provide consumers with the best information about local businesses, these government groups have asked Yelp to discuss our experiences with Google’s conduct. We have responded to these requests and told officials that we believe Google has acted anti-competitively in at least two key ways: by misusing Yelp review content in their competing Places product and by favoring their own competing Places product in search results. Ben Edelman brings some good points. 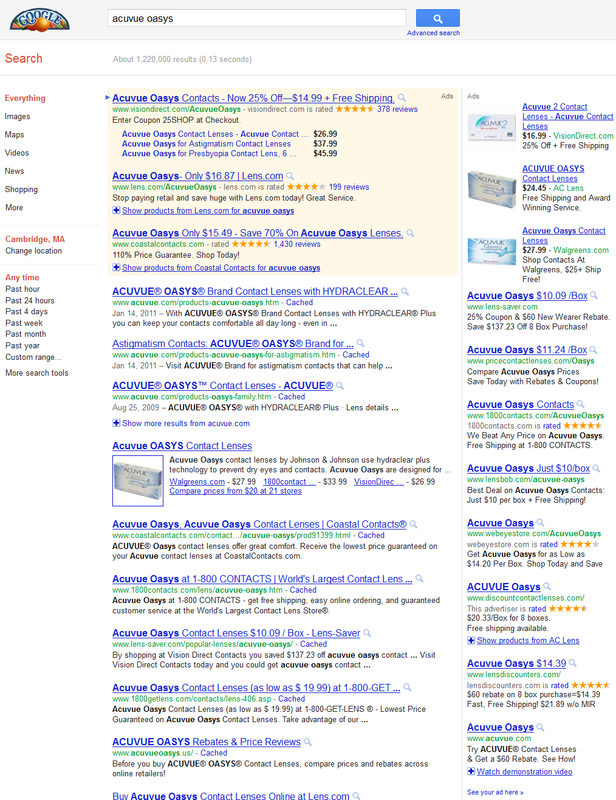 Google likes to argue that "competition is one click away." First, I question whether users can actually leave as easily as Google suggests: Popular web browsers Firefox and Chrome strongly favor Google, as Google CFO Patrick Pichette recently admitted ("everybody that uses Chrome is a guaranteed locked-in user for us"). In the mobile context, Android offers Google similar lock-in. And even on non-Google mobile platforms, Google serves fully 95% of searches thanks to defaults that systematically direct users to Google. Meanwhile, syndication contracts assure Google exclusive long-term placement on most top web sites. Against this backdrop, users are bound to flow to Google. Then advertisers must go where the users are. Whatever choice users have, advertisers end up with much less. In the last ten years, Google grew from 12% to well over 80% worldwide. In that time, Google moved from zero ads to a dozen or more per page; from placing ads only on its own site to requiring advertisers to purchase ads with thousands of partners of dubious or unknown quality; from hustling to convince advertisers to buy its novel offering, to compelling advertisers to accept the industry's most opaque pricing and most onerous terms. At the start of a new decade, Google is stronger than ever, enjoying unrivaled ability to make advertisers do as Google's specifies. It's time for advertisers -- and the regulators who protect them -- to put a check on Google's exploitation of its market power. Customers will never switch from existing web services unless the new web service is even 1% superior. Google knows how to extract the maximum out of Network effects and knows it will take a long time for Bing to get to the level of Google just because of Network effects. And acquisitions like Zagat and competing products like Places are to retain and grow the network effects. All these feed into Google's only product, Google Search. Bing is innovating fast which shows up in continuous growth in search share, so I am sure Bing is now a blip in Google's radar. It's only time when the advertisers and the consumers have a real alternative. Almost 30% people already are enjoying that in US.